The Best Painting blogs from thousands of top Painting blogs in our index using search and social metrics. Data will be refreshed once a week. Also check out Top Paint Youtube Channels list for Top videos on Paint. 2.24 Frank Eber - Watercolor painting is my refuge, watercolor painting is my life! 2.40 "Painting In and Out"
Painting newsletter is a comprehensive summary of the day's most important blog posts and news articles from the best Painting websites on the web, and delivered to your email inbox each morning. To subscribe, simply provide us with your email address. Cincinnati, Ohio About Blog The home of The Artist's Magazine, Watercolor Artist, Pastel Journal, Drawing magazine, North Light Books, WetCanvas and more! These magazines celebrates the creative life and the creative act, the artist as well as the art, by showcasing the best work—in all media and in all styles—of the best artists working today. New York, NY About Blog Artist Daily teaches the basics and techniques of drawing and painting. Techniques include oil painting, watercolor painting, and drawing basics. This is a place where artists come together to exchange advice, support one another, and share in the camaraderie of making art. Facebook fans 328,965. Twitter followers 44,364. London, England, UK About Blog Jackson's Art blog run by artists for artists, where you'll find the premium selection from their vast online range of the world's finest art materials and equipment by Julie, Christine & Duncan. Facebook fans 34,551. Twitter followers 11,165. New York About Blog This daily weblog by Dinotopia creator James Gurney is for illustrators, plein-air painters, sketchers, comic artists, animators, art students, and writers. James Gurney wrote "Color and Light: A Guide for the Realist Painter," he also wrote and illustrated "Dinotopia: A Land Apart from Time. Facebook fans 47,156. Twitter followers 6,945. San Francisco, CA About Blog Reddit Painting - Functioning like an artist cooperative gallery, this is the place where beginning to advanced painters display their work in an ongoing group discussion. Artists who post their work are strongly encouraged to interact with their fellow subscribers and be prepared to discuss their concept, process & technique. Facebook fans 1,075,907. Twitter followers 462,785. Mountain View, CA About Blog Comprehensive up-to-date news coverageon Paintings, aggregated from sources all over the world by Google News. Facebook fans 21,785,371. Twitter followers 212,784. Rochester, NY About Blog Carol L. Douglas is a plein air, landscape and figure painter.She teaches out of her Rockport studio. She has taught in Maine, New Mexico and New York and shown in galleries across the United States. Facebook fans n/a. Twitter followers 140. About Blog The Van Gogh Gallery blog is a resource for news and information about Vincent van Gogh, including his life, paintings, Starry Night, exhibits and more. Facebook fans 760,779. Twitter followers 7,348. Philadelphia, PA About Blog Lines and Colors is a blog about painting, drawing, sketching, illustration, comics, cartoons, webcomics, art history, concept art, gallery art, digital art, artist tools and techniques, motion graphics, animation, sci-fi and fantasy illustration, paleo art, storyboards, matte painting, 3d graphics and anything else. Facebook fans 4,839. Twitter followers 1,564. About Blog Art Tips, Tricks & Lessons. Learn how to draw and paint from home. Facebook fans 306. Twitter followers n/a. About Blog In painting portrait tips Ben Lustenhouwerwill tell about my techniques, methods, and flesh colors. Also you will find his video tutorials "How to paint a portrait". Facebook fans 1,874. Twitter followers n/a. About Blog Mitchell Albala’s semi-abstract and atmospheric landscapes have been exhibited nationally and in Seattle at Harris Harvery Gallery. His painting blog serves as a companion to his book, "Landscape Painting: Essential Concepts and Techniques for Plein Air and Studio Practice", is a national bestseller. London About Blog This page is to show Rob Adams paintings as they get done. Facebook fans 217. Twitter followers 12. Zagreb, Croatia About Blog Marc Dalessio a plein air landscape, naturalistic painter and portraitist currently living in Zagreb, Croatia. Facebook fans n/a. Twitter followers 1,186. About Blog The Artist's Road inspires with practical art tips and painting techniques for the traveling artist, video painting tutorials and demonstrations, workshop resources, artist profiles and interviews, remarkable landscape painting locations. An artist community for oil, watercolor and pastel artists, plein air or studio. Articles cover intriguing art travel experiences artists have had while painting the world's beautiful places. About Blog My love of pastel and the enjoyment I receive from teaching about pastel inspired the creation of this website. On it, I want to offer not only my own workshops both on- and off-line but also tips and reviews and opinions, and all manner of information regarding pastels, their use and pastels done through the years – old and new. Facebook fans 1,072. Twitter followers 30. Oregon, United States About Blog An oil painting blog Painting a Day by Carol Marine. Facebook fans 14,843. Twitter followers n/a. Marietta, Georgia About Blog Daily pastel Paintings by Artist and Instructor Karen Margulis. Facebook fans 2,094. Twitter followers 830. London About Blog Mark Mitchell specialises in 19th-21st century British & Continental Fine Art, comprising of still lifes, landscape, seascape, interior, portrait and animal paintings. Facebook fans 264. Twitter followers 515. About Blog Acrylic painting tutorials for beginner through advanced artists. Discover hundreds of step-by-step video tutorials designed to teach you how to develop your fundamentals & artistic style by Richmond artist Robert Joyner. About Blog William works in oil and pastel. He views figures, landscape, or still life as opportunities to explore the effects of light on form. Painting from life, he seeks to capture the emotion of a particular moment and place. Sargent, Zorn, Fechin, and Sorolla have been his influences. Facebook fans 44. Twitter followers n/a. 24. Frank Eber - Watercolor painting is my refuge, watercolor painting is my life! USA About Blog Fine art in watercolor, oil, and other media by Frank Eber. Rome, Italy About Blog American plein air painter living in Italy since 2005 capturing lasting memories of Italy through sketching and painting the streets of Rome daily. Facebook fans 3,748. Twitter followers 1,196. Austin, TX About Blog Qiang Huang is an impressionistic, representational artist painting still life, landscape and figurative subjects. Facebook fans 3,260. Twitter followers 127. Sedona Arizona USA About Blog Painter Michael Chesley Johnson explores the world of plein air painting, offering tips, suggestions, research, plus some great paintings! Facebook fans 1,325. Twitter followers 768. Atlanta Georgia About Blog The results of the life of a paintaholic by Karin Jurick. Facebook fans n/a. Twitter followers 291. About Blog William E. Elston is a professional artist and teacher living in the Pacific Northwest. He has exhibited for over 40 years, and has works in numerous public and private collections, both in the region and internationally. He is best known for urban and rural landscape images. Facebook fans 141. Twitter followers 109. Facebook fans 1,103. Twitter followers 217. About Blog Ellie Harold paints representational and abstract landscapes in oil. She facilitates workshops and gives painting instruction in Frankfort, MI and Vieques, PR. Facebook fans 562. Twitter followers n/a. Virginia, USA About Blog Jennifer Young's fine art gallery of original plein air and studio landscape paintings. She creates Vibrant Italian Landscapes, Paintings of France, Paintings of the American South, and Still Life. Facebook fans 2,073. Twitter followers 378. New Braunfels, TX, USA About Blog Artist at Rita Kirkman Studio, daily painter that paints pastel, oil, pencil, animals, humans, cows, landscapes, etc. Facebook fans 1,852. Twitter followers 113. About Blog Landscapes painted in oils and acrylics painted en plein air and in studio from studies and interior subject matter by Caroline Goldsmith. Facebook fans 163. Twitter followers n/a. Nepal About Blog Asian Paints Nepal is one of the most trusted paint providers. We are the largest painter in Nepal. Remember us for shades and color paints for your wall. Facebook fans 1,066,034. Twitter followers 18,685. Bristol About Blog Tom Hughes, Bristol-based oil painter producing still life, landscapes and cityscapes, all painted exclusively from life. Facebook fans 1,841. Twitter followers 3,583. Gilbert, Iowa About Blog Jo Myers-Walker have been an artist and art teacher for more than 40 years, working with people of all ages. Mostly into watercolors, she always exploring new techniques and materials. 40. "Painting In and Out"
Cape Cod , Massachusetts About Blog Betsy Payne Cook paints exclusively with pastels, & is acknowledged as a Juried Master Artist at the Cape Cod Art Association. Betsy's paintings depict her impressions of the landscape & its abundance of colors. She paints both en plein air & in her studio; & conveys her love of the outdoors n each painting. Netherlands About Blog A Dutch artist very committed to painting every day directly from the subject without significant corrections, glazes or studio refinements. René's paintings have a faithfulness to nature & a sense of authenticity which is immediately striking.Despite René's difficult working conditions, there are many painterly subtleties to his oil paintings with interesting brushwork, rubbed, scraped & texture. US About Blog Based in Colorado, Jane Hunt frequently paints plein air, landscape oil painting inspired by the beautiful landscape surrounding me. Facebook fans 155,664. Twitter followers n/a. About Blog Robert Yonke works out of two studios, one in Pittsburgh, PA & the other in Swanton, MD. He works mostly in watercolor and focuses on subjects he loves, such as music, the mountains & the outdoors. Noted for his loose style with watercolors, Robert's art has been shown in many galleries throughout the region. He is a member of the Garrett County Arts Council, The Pittsburgh Watercolor Society. Facebook fans 137. Twitter followers 84. Facebook fans 197. Twitter followers 5. Miami About Blog Blog about loss and memory of time seen through art, art history, acrylic paintings and studio practice. Watching time go by with a painting a day and showing others where to look. About Blog My Recent Paintings collection. Every artist was first an amateur. Berlin and London About Blog Edward B. Gordon was born in Hannover, Germany and lives and works today in Berlin and London is inspired by a painting a day – a reflection of a moment of the day. Facebook fans 7,176. Twitter followers 242. About Blog Lisa Andrews's vision was to create a place by using art, specifically painting, as an icebreaker to create conversations & connections to celebrate occasions & raise funds to give back to the community. Lisa hopes that Artique has & will continue to create for people an appreciation for the arts & and leave feeling inspired! Facebook fans 5,000. Twitter followers 130. Portugal About Blog Lena Rivo uses color, value and composition to explore mood and emotion in her paintings and enjoys painting a variety of subjects including landscape, still life and figures, both in the studio and outdoor on location. She works directly from life to capture the qualities and nuances of natural light and color harmony. Facebook fans 3,105. Twitter followers 11. Facebook fans 3,547. Twitter followers n/a. Pennsylvania, United States About Blog Taryn Day's style of painterly realism is inspired by the work of modern painters who combine realism with a strong emphasis on abstract design, such as Richard Diebenkorn, Fairfield Porter, Edwin Dickinson and Edward Hopper. Facebook fans 649. Twitter followers n/a. NM, United States About Blog Holly Roberts a professional artist living and working in New Mexico who combine paint with photography and teach workshops around the country. Facebook fans 524. Twitter followers n/a. Cincinnati About Blog John McCoy an Illustrator and Fine Artist based in Cincinnati, Ohio. His work is predominantly digitally and traditionally painted illustrations, created for various venues and projects, including public installation, murals, magazines, and books. Facebook fans 344. Twitter followers 10. Dallas About Blog This site is for displaying Ann McCann's paintings. San Diego, CA About Blog Kevin Inman focus on landscape painting. He is particularly fascinated by exploring, and painting, urban environments. Groningen, Netherlands About Blog An art blog by Janhendrik Dolsma with painting tips. Janhendrik Dolsma is a Dutch painter of skies, beaches, dunes and sea. Cedar Rapids, Iowa About Blog Karen Cooper is a figurative painter, who paint with oil or acrylic paints on canvas. She do not make reproductions of any of my paintings, so each one that you look at is a unique rendering of her point of view. Central Square, Cambridge, MA | USA About Blog Deidre Tao Fine Art is a place to share what she is working on in the studio. Deidre paint landscapes on canvas inspired by scenery in the New England area. Facebook fans 110. Twitter followers n/a. About Blog Occasional thoughts,reminiscences and ideas from the artist Darrell Baschak. Denver, CO USA About Blog Discover the breathtaking techniques and drawing and painting essentials that will make your artwork stand out from the crowd from Craftsy. Facebook fans 842. Twitter followers 134,797. Malta About Blog A Malta-based artist Jeni Caruana paints live jazz musicians, dancers, nudes and landscapes. The subjects may change but her work always reflects the rhythm of movement and the song of life. Facebook fans n/a. Twitter followers 38. Kansas City, MO About Blog A gallery of watercolor and oil paintings by John Keeling. Original paintings and limited edition fine art prints. Facebook fans 770. Twitter followers 11. About Blog Using pastels, Lee McVey creates landscapes people feel they can walk right into. Her love of nature began when she was a young girl walking in the woods with her grandparents. Those experiences have inspired Lee to focus on studio and plein air landscape painting. Vancouver Island with About Blog A still life and figurative paintings blog run by a pair of realist artists David Gluck and Katherine Stone. Facebook fans n/a. Twitter followers 155. Miami, FL About Blog An Internationally collected artist for almost all of his three decades as a professional Artist, David Schor created a unique style of amazing art. Facebook fans 26. Twitter followers 12. About Blog Vivianite is a portal for those of you who are interested in painting and painting related fine art. Its mission is to inspire, inform, provoke, motivate and open up for discussion. Facebook fans 829. Twitter followers 23. Colorado About Blog Keith Bond is an award winning artist specializing in plein air and studio landscapes as well as large scale murals. Facebook fans 2,626. Twitter followers 250. About Blog Paintings by international wildlife artist Rebecca Latham. Featuring North American animals, birds, & nature in watercolor painted in miniature. Facebook fans 1,290. Twitter followers 14,282. Auckland, New Zealand About Blog This blog authored by Peter Cook is intended primarily as a tribute to the inventiveness and ingenuity of the craft of the matte painter during Hollywoods' Golden Era. Cochrane, Alberta About Blog Mindi Oaten, a Prophetic Artist enjoy painting everyday objects or imagery that she is moved to portray, connecting them with a deeper message. Facebook fans 1,381. Twitter followers 36. About Blog Our relaxing, inspiring and fun-filled painting courses with hand-picked internationally renowned tutors are designed to help both experienced painters and beginners to release their talent and most of all, enjoy their painting. We offer courses in watercolours, oils, pastels, acrylics and other media. Facebook fans 2,576. Twitter followers 376. Edmond, OK About Blog Kelli Folsom is an award winning still life and landscape artist living in Oklahoma. Facebook fans 2,867. Twitter followers 9. Keller, Tx About Blog Chris Brandley Art includes everything from painting commercial and residential murals and faux finishes, to painting oil on canvas. Ms. Brandley’s paintings embrace a range of subjects, with her focus being on her expression of how a moment in time makes her feel, using light and vivid color. Facebook fans 744. Twitter followers 93. Facebook fans 539. Twitter followers 48,526. About - Jackson's Art blog run by artists for artists, where you'll find the premium selection from their vast online range of the world's finest art materials and equipment by Julie, Christine & Duncan. About - In my work I cherish the uniqueness of our dilapidated seaside towns, stumbling light industries and the ‘wearing slippers to the off license’ easy going part of culture. I exhibit often, including this years Royal Academy Summer Exhibition and as far afield as Tokyo. About - Tom Hughes, Bristol-based oil painter producing still life, landscapes and cityscapes, all painted exclusively from life. About - Jethro Knight, a professional artist living in Richmond, Surrey and working from my studio near Waterloo . Jethro have a passion for plein air painting and can be found painting outside in all weather. 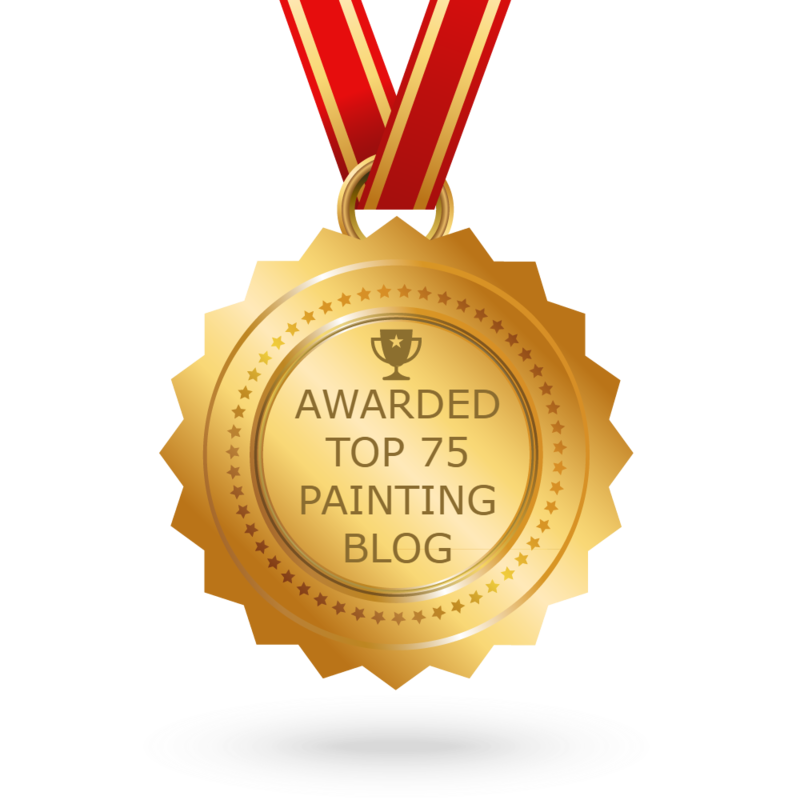 CONGRATULATIONS to every blogger that has made this Top Painting blogs list! This is the most comprehensive list of best Painting blogs on the internet and I’m honoured to have you as part of this! I personally give you a high-five and want to thank you for your contribution to this world.